11 years ago, I found a picture of Kate Moss wearing a white denim skirt, a pair of black flats, and a jumper (sweater) that said “Ginsberg is God.” I wracked the internet trying to find out everything I could about that jumper. It turns out it was by the same London designer that also made the white crochet dress that Kate wore (and I also couldn’t find): Bella Freud. In 2009, four years after seeing that fateful photo, it finally happened for me. I received my first Bella Freud jumper. 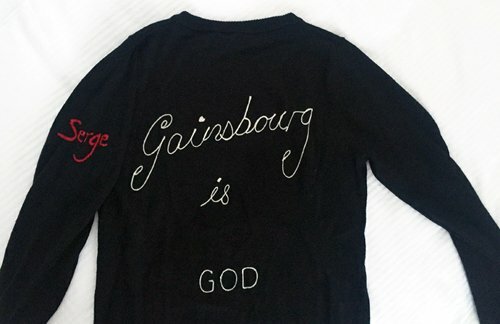 It wasn’t the “Ginsberg is God” jumper, but the one that said “Je t’aime Jane.” A beautiful toast to the love between Jane Birkin and Serge Gainsbourg. As an ardent Jane Birkin fan, I was over the moon with it. I love this sweater more than anything. And that’s not just me being hyperbolic for the sake of this Bella Freud jumper review. It has become a bit of a treasure for me. Especially because it has the old Bella Freud old logo on it and “Serge” is written in red vs on the new one, “Serge” is in white. 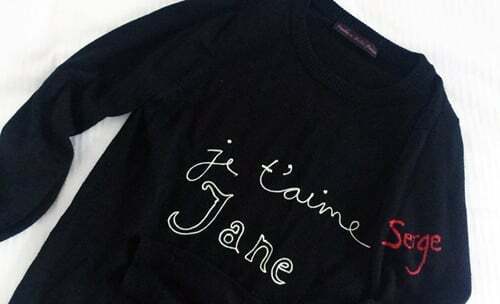 Like my Isabel Marant Dickers (purchased a year later), my Bella Freud Je t’aime Jane sweater has yet to go out of style. This is a review for the GRLFRND Eva A-Frame Gusset Skirt in “Walk This Way”… Saying the name of the skirt in its entirety is important. Because my first tip off that I wouldn’t love this skirt should have been the unnecessarily long name. The second is that I only thought it was unnecessarily long because I didn’t know what the word “gusset” meant. Should have just acknowledged that Revolve was using a word that I didn’t know — admitted defeat and looked it up. But I figured it was some kind of superfluous word that didn’t matter to this GRLFRND denim skirt at all. WRONG. It did. Because the “gusset” — which here means that they added extra denim to make it an extra big A-frame — is the reason why I’m lukewarm about this skirt. To make this Isabel Marant Dicker boots review simple, they have yet to disappoint me. Isabel Marant Dicker boots first came onto the scene in 2009/2010. I purchased my first pair of Isabel Marant Dicker boots from La Garçonne in 2011. Actually, at first I purchased a pair of Isabel Marant Dicker boots dupe. But the moment I put on the dupes, I knew I needed the real deal. 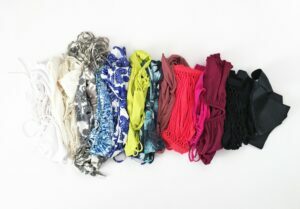 I am a self-confessed Isabel Marant addict. That sounds silly. And annoying. But it’s true — I absolutely adore everything Isabel Marant. I obsessively try to collect her entire SS/13 collection (more on that here and here). But Isabel Marant’s Dicker boots were the start for all that. They opened the floodgates and are solely (GET IT) responsible for my personal style — both my summer style and my fall style — today. Over five years, I’ve collected three pairs. One is suede taupe (2011), suede black (2012), and the last, a middle-aged-brick red leather (2013). I’m currently waiting for the perfect pair of suede camel Dickers to add to my collection. I have never felt more myself in a pair of shoes, let alone a pair of boots. Aside from maybe Charlotte Olympia cat flats. But those are now a bit dated. Come to think of it, I got my cat flats the same year as my first pair of Dickers… I still wear my Dickers, but the cat flats are on the shelf. Isabel Marant Dicker boots have staying power after five years (or seven years if you count since they came out). That says a lot. You can still dress them up, or dress them down. Wear them in the fall or wear them in the summer. Dickers are the perfect convertible boot that make my summer fashion style that much cooler. And I finally found it. The Isabel Marant Mira cutout dress that I’ve wanted forever/since I saw it on Lily Aldridge. 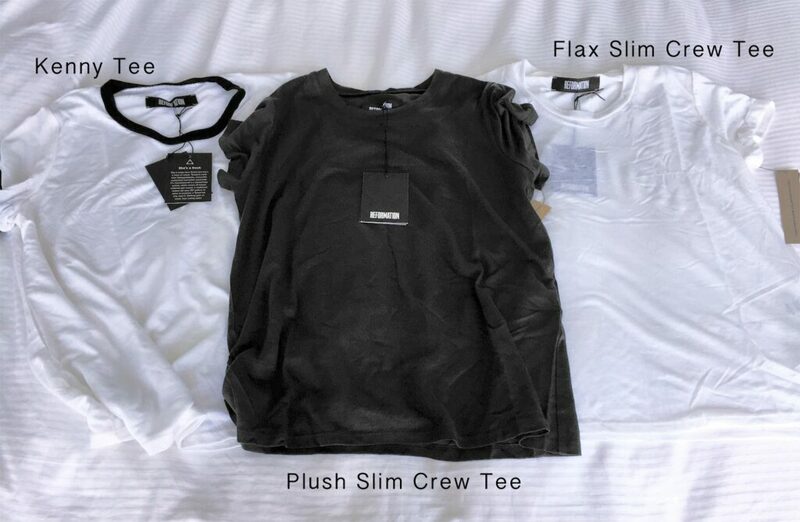 In my first review, I went on about my love for SS/13 Isabel Marant. Isabel Marant captured everything that I love with her SS/13 collection. So summery, so Elvis, so wearable… But just so cool though. And that navy blue print with the white Hawaiian flowers has to be one of my favourite things ever created. The Mira dress was a sure standout from that show. Like I’ve said before, I don’t think that they make fake Isabel Marant clothes (maybe shoes — but not clothes). So I purchased my SS/13 Isabel Marant dress on The Real Real without any hesitations. Everything that The Real Real wrote for this dress was true: the size was a FR 34 and the dress did indeed come with its original tags still on! It arrived in its crisp white tissue paper and dust bag. With an extra saving of 20% off, the dress was basically a steal at a little over $100. MUCH cheaper than I’ve seen it on eBay for. I highly recommend The Real Real for designer clothing purchases. They have basically everything and for much less than other websites. You do have to be careful, like at any consignment shop or like you would be on eBay, but for the most part you should be okay! Before I start on K Jacques Epicure review, let me give you a bit of history on K. Jacques. 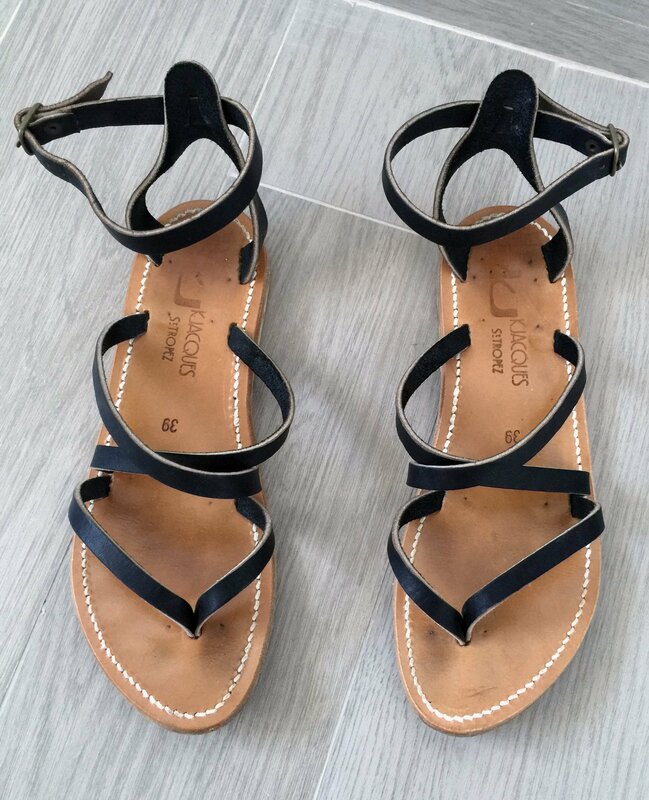 Just in case you don’t know who they are or why it’s okay to spend $280 USD on a pair of simple sandals (spoiler: K Jacques Epicure sandals are worth every penny!). K Jacques’ sandals are basically the OG gladiator sandal. They’re what Castañer is to espadrilles. Or Repetto is to ballet flats. K Jacques have been making sandals in St. Tropez since the 1930s! They were handmade in St. Tropez by artisans then, and 80+ years later, they still are. I know, the Mikoh Hermosa bathing suit top is actually named for the beach in California, Hermosa Beach — not the actual Spanish word, “hermosa”… But the Mikoh top es muy hermosa. A few days ago I wrote a super comprehensive review of 20 Mikoh bikinis. But a few days ago was also my birthday and I received a new Mikoh bathing suit for it! The Hermosa top in lychee and the Zuma bottoms in lychee! My mass review was very flip floppy “this one is perfect!” “No, THIS one is perfect!” I couldn’t make up my mind which of my Mikoh bathing suits I liked the most. That was pre-Hermosa though. Okay, I say my wardrobe changed, but really (at this point) all I need is the Kate Moss for Equipment Jessa slip dress and the Bria silk star scarf. Before we get started on my MIKOH bikini reviews, when I lived in the Northeast I only needed a bathing suit for a handful of weeks throughout the year. Investing in multiple fantastic pieces of swimwear did not matter to me. I’ve recently moved to where it’s summer all year round, so having the best bathing suit is essential. My sister has always been obsessed with Mikoh, but me, I never cared. A seasonal Isabel Marant swimsuit (SS/13 perfection) did the trick just fine! Now though I have to have the best swimwear. And by best, I mean, the bikini has to be durable, flattering, and adaptable. There’s always that cool club store, isn’t there? The one you’re desperate to be a part of. And I always wanted to be part of Reformation’s downtown cool kids clothing club store. Reformation makes clothing for that girl who’s too-cool for school. Her hair has those effortless waves or she’s tried and perfected the newest braid style. You wanna be her or at least be her BFF. Reformation had everything I ever wanted… Except clothes that actually flatter me. I’m not talking about the boy that got away. Nor am I talking about that drink I didn’t try at Baldwin Barmacie in Montreal before it closed. Or that party I didn’t go to because I just started Orange Is The New Black and needed to keep watching. Or even that job interview I passed up because I was happy where I was. The fashion collection that got away.